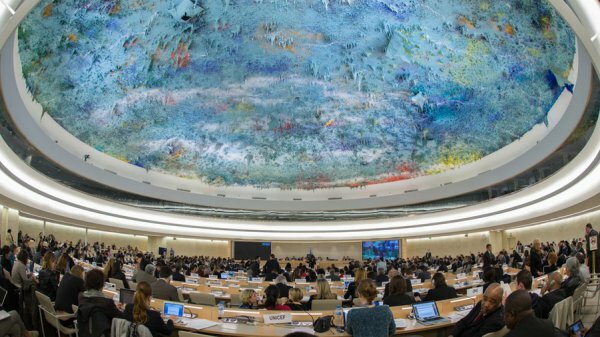 The plight of Pakistani minorities was highlighted as the European Organisation for Pakistani Minorities organised a side event during the 33rd Session of the Human Rights Council in Geneva, Switzerland. The event highlighted the dire situation of many groups in Pakistan, including the Baloch, Gilgit Baltistan and Sindh communities, with an outlook to help the international community recognise the urgent need for reforms to help them. The European Organization for Pakistani Minorities, on September 16, organised a side event titled "Plight of Pakistani Minorities" at the 33rd session of the UN Human Rights Council. The speakers included Fulvio Martusciello, Member of the European Parliament, Mario Silva, Executive Director, International Forum for Rights and Security, Canada, Dr. Rubina Greenwood, Vice Chairperson, World Sindhi Congress and Senge Sering, President, Institute for Gilgit-Baltistan Studies. Speaking on the occasion, Fulvio Martusciello highlighted Pakistan's discriminatory laws against minorities and use of extremist groups as proxies to target minorities including the Christians, Hazaras, Ahmadiyas, Hindus and Balochs. He expressed deep concern regarding the growing intolerance in Pakistani society, a phenomenon aggravated by the actions of the Pakistani government. He added that the Pakistan government and the military establishment should realise that their policy to sustain and use extremist elements in its neighbourhood, with the intention of undermining these areas would, sooner or later, not only destabilise Pakistan internally but also spread to other parts of the world. Focusing on the issue of systematic persecution of the Baloch people in Pakistan, Mario Silva was of the view that the State of Pakistan should be held responsible for the genocide against the Baloch people. He emphasised on the need for the international community to recognise and work towards resolving the crisis in Balochistan, adding that the matter had not been adequately addressed in the past. Referring to the wave of killings in the region, that included educators, journalists, lawyers and students, and the 'Kill and Dump' policy of the Pakistani security forces and intelligence, he stated that many of these people were killed for having spoken out against the on-going persecution in the province. He concluded by saying that if the situation was not brought under control, it would result in the flight of minorities from Balochistan. This, he said, would be a stark failure of the international community to save the Baloch people. Dr Rubina Greenwood, an activist for human rights of the Sindhi community in Pakistan, in her presentation enumerated the various ways in which the religious minorities were being persecuted in Pakistan. Informing that many from the minority communities were fleeing Pakistan to avoid persecution, she stated that as on April 16, 2016, about 11,500 Pakistanis, mostly Christians, were seeking asylum in Thailand. She also informed that there were thousands of Pakistanis, mostly Hindus and Sikhs, who had moved to India in the hope of securing Indian citizenship. She called on the international community to restrict aid/loans to Pakistan till it improved laws and made institutional changes on issues related to discrimination of religious minorities and to nominating a Special UN Rapporteur who would investigate atrocities against Shias, Hindus, Christians, Ahmadi Muslims in Pakistan. She called on UN forums and treaty bodies to put pressure on Pakistan to follow its commitments on all the international treaties on human rights to which it was a signatory. Senge Sering highlighted the persecution being faced by the people of Gilgit-Baltistan and the Pakistani State imposing the CPEC on the locals of that area.